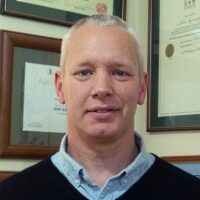 Alan Jansson has been delivering workshops on Traditional Japanese Acupuncture in New Zealand since 2001. He has delivered over ten workshops throughout New Zealand including Auckland, Christchurch and Napier. This will be the first time Alan has presented in Wellington and this workshop will be his first for 2019 as part of his round the globe teaching. Alan was host for Masakazu Ikeda sensei’s inaugural international workshop on the Gold Coast, Australia in 1996 and co-host of Ikeda sensei’s 29th and final international workshop in Queensland in August 2018 with over 200 participants. He has traveled to Japan to study with Ikeda sensei in his clinic on many occasions and attended at least 15 of Ikeda sensei’s workshops in Australia, UK and USA. He has also presented over 70 Traditional Japanese Acupuncture workshops in New Zealand, Australia, Indonesia, Portugal, Czech Republic and USA. 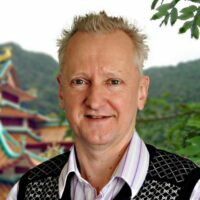 Alan has been in practice for 35 years, establishing two busy Traditional Japanese Acupuncture practices at The Australian Centre for Natural Medicine on the Gold Coast est. 1996 and the Queensland Sports Medicine Centre in Brisbane est.1999. This workshop will provide you with a great opportunity to learn some of the skills of Traditional Japanese Acupuncture and an introduction to the theory behind the practice based on the Classical Chinese texts and Ikeda sensei’s 23 textbooks. There are now a number of old core TCM practitioners from New Zealand like myself who have taken on this gentle yet powerfully effective practice style after attending Alan’s workshops. Extensive notes will be supplied on the weekend, as well as pre-study suggestions if desired, with recommendations of the various books available including those written by Ikeda Sensei. Practitioners can follow up their weekend introduction with further study available through an extensive range of DVD’s as well as the online learning site on www.worldacupuncture.com . Many former attendees of Alan’s workshops have also visited his clinic in Queensland and worked with him there watching and gaining hands on experience. The Traditional Japanese needling approach is quite different to the modern TCM approach and often quite surprises practitioners in its effectiveness. Many practitioners new to this style comment that there is a lot more focus on the different aspects of moxibustion and these will also be introduced. We will be working on each other so it is recommended to bring loose comfortable clothing. All needles, tubes, tray’s and moxa will be supplied and also available for sale at the end of the weekend. What are the details of the venue and costs? Please email or text Heiko after payment so a receipt can be sent back. It is a practical workshop and numbers attending are limited. A $100 deposit can secure a place in the seminar but is non refundable. Paying attendees cancelling up until the 20th January will be refunded 75% of the registration fee. After this date, there will be no refund. Who can I talk to about the seminar if I have any questions?